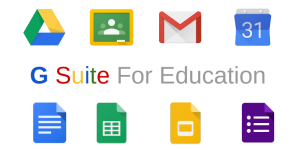 The following sites are of great value to students, G-suite allows students to access their school emails and drive accounts. Google Classroom and Edmodo are of value in communicating with teachers regarding notes and lessons. GoConqr and Khan Academy are valuable for revision and self-testing. All the other sites are of various educational values.